I added, “AND I can love it.” I am awake. I told her I want to wake up. I shared some past. I curled up tight in a ball. I talked about fear and confusion. She allowed me to feel what it’s like to be scared and confused, to stay with it. For me that’s new. I notice I’m having trouble remembering. I was skipping around the numbers. From the ball I took a chance and uncurled. I laid on the floor, moving my fingers and toes. Then I went upside down – plowish pose. Things were instantly better. I’m calmer upside down. I struggled in my head to find the courage to ask to do a back bend. When I did I shared the arguing in my head. Soleil put her feet on my back and supported me as I peeled off the well. I opened my eyes to look at her briefly. I felt sheer freedom, relief. Then an overwhelming wave of nausea. I’ll call it emotion. I stayed with it for as long as I could then came down and put my hands and forehead on the wall. I breathed heavily. I was awake. I learned the emotion is much stronger and closer than I thought and that I can access it when I want. 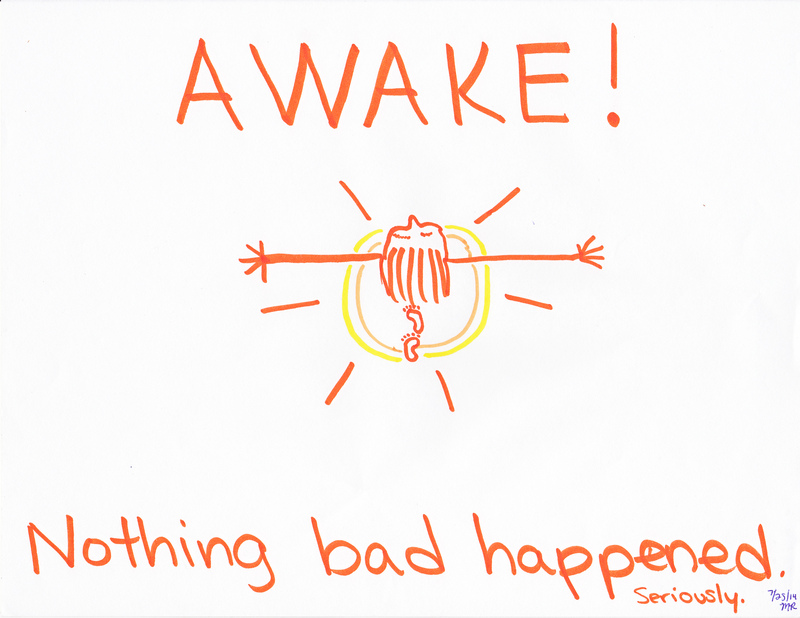 I can be awake and have nothing bad happen. I can sit with and love my scary thoughts and the parts of me thinking them. I also noticed how real and very close my past is. I don’t want to run anymore. I am weak, and that’s okay. I want to integrate. I think I’m ready. We work together. Lately I hear music almost constantly. The numbers in my head fight and change course. I feel pressed. I must always be working. I don’t want to wake up one day when I’m 50. I want to live life now. And take a nap. Soul-searching is exhausting. Asked for what I wanted. Was honest about feeling scared. Trusted that she wouldn’t hurt me for asking. Let go into the pose. Embraced the feeling of freedom. Acknowledged pain when it came but didn’t stop even though I felt scared. Watched myself breathe deeply, heavily. Did not judge the moment. When I was scared I curled up so tight in a ball. I didn’t know I could get so small. I took a chance when prompted to uncurl. The dance is stuck in me. I must get it, let it out. I must set me free.